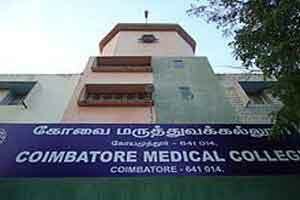 Coimbatore: In a unique initiative, a city-based NGO has opened a store at the Coimbatore Medical College Hospital (CMCH) premises here to provide clothes free of cost to the inpatients. There are nearly 2,500 inpatients in different wards at the hospital and Chandrans Yuva Foundation does not want the inpatients to wear colourful clothing only on the day of Deepavali, but on all other days, its director Sasikala said. The shop was opened on Friday and the inpatients were surprised when volunteers started distributing the clothes, she said. Noting that the foundation had already installed a sanitary napkin vending machine on the hospital premises, Sasikala said this was the second such cause initiating a free cloth store. This would be a permanent store at the venue to take care of the inpatients, she said. “CMCH had given the inpatient details, based on that we had purchased new clothes for women, men and kids. We will check the admit card and other details of the inpatients, based on the similar process, we will continue giving the free clothes,” she said.